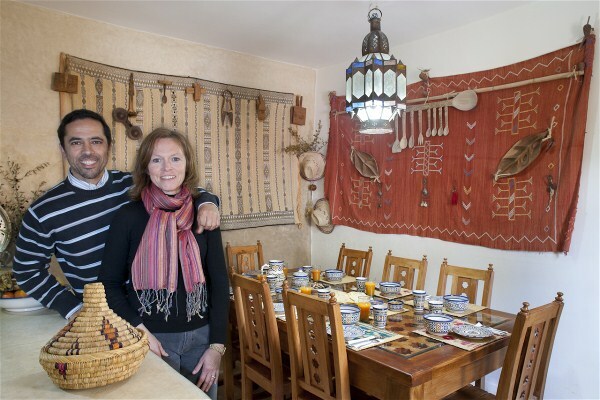 It’s with joy that Béatrice and Kamal welcome you in their guesthouse or "Dar" in Bhalil. Close to Fez and Sefrou, this pretty village nested on a mountainside, has kept all its authenticity. You will finally discover the house by walking in the old part of the village in the middle of the smiling faces. Dar KamalChaoui is a guest house in Bhalil near Fes and Sefrou. Find the authenticity, the depaysement, the nature, the mountain and treck. Easy access to Fez airport.